The Waikato Graduate Women Educational Trust, Ngā Raukura Wāhine Mātauranga o Waikato, was formed through the Waikato Branch of the NZ Federation of University Women (now Graduate Women New Zealand). The organisation has provided awards, prizes and scholarships for women students since 1961, when the Elizabeth Bisley Memorial Prize in English was first offered. Over the intervening period more awards have been added to the list, including awards for women staff in tertiary institutions across the Waikato and Bay of Plenty regions. Currently there are 15 awards offered directly by the Trust. As well, the Trust funds awards made by the New Horizons for Women Trust, Hine Kahukura. We are committed to helping women further their education by providing these awards, funded by money raised through the hire of regalia for graduations and prize-giving ceremonies. Our logo depicts a kete adorned with a poroporo flower. The kete represents the kete-aronui – in Māori tradition, the basket of knowledge that represents the knowledge that can help humankind. The poroporo plant has multiple uses, and represents the many different types of awards and support for women and their learning that we provide. The logo was designed by Donn Ratana. Academic Dress Hire is the trading arm of the Waikato Graduate Women Educational Trust. Your academic dress hire fee (minus administration and dry-cleaning costs) and any donation you make, are used to fund prizes, awards and scholarships for women students and staff in Bay of Plenty and Waikato tertiary institutions. Click below to find out more and hire your academic dress. Use the button below to view recipients of our awards and find out about the wide range of endeavours in which they have been involved. 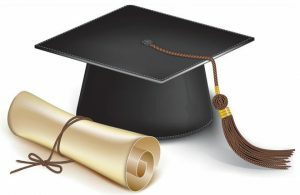 Click below to see the awards and scholarships we offer and to access application information.